Some Lego vehicle reproductions simply want to recall their inspirations without being overly complex. 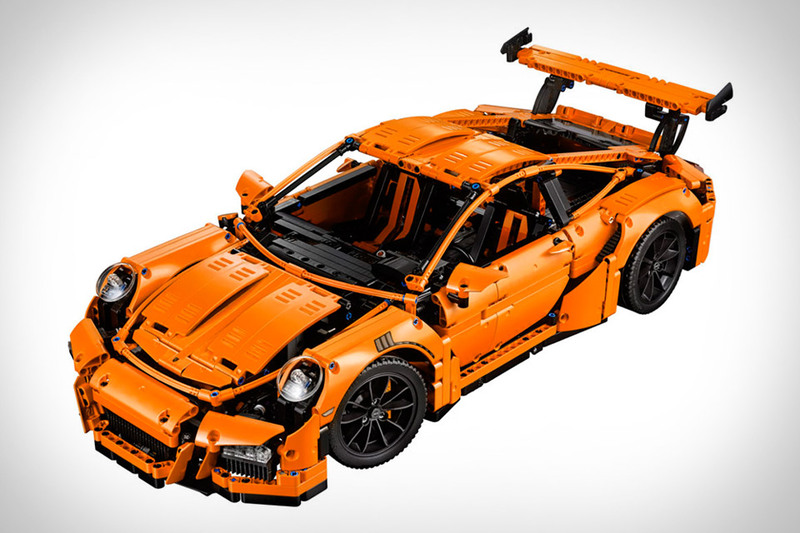 The Lego Technic Porsche 911 GT3 RS looks like it could take off on its own if you could just find a gas pump small enough. Clocking in at 2,704 pieces, this 1:8 scale model was developed with the assistance of Porsche AG and is shockingly realistic. Its brick-based boxer engine has moving pistons, the double-clutch transmission with paddle shifters is fully functional, and the glove box opens just like the real thing, showing off the laser-printed serial number. 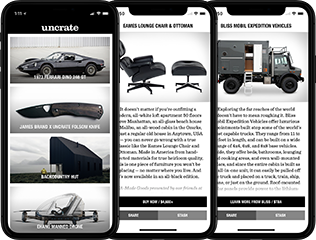 It comes packaged with a full-color collector's book in a premium black box, with all the major components packed in separate boxes so you get a little added insight into how its real-world counterpart comes together. Created by seasoned toy maker Mattel, the ThingMaker 3D Printer gives you free reign over your own in-house toy factory. Design your creatures on the ThingMaker Design app or export them straight from the cloud. They'll be wirelessly sent to the printer where it will spit out your custom action figure. A retracting print head and automated door lock make it safe for the kiddos and overly anxious adults. The app is already available at the App Store and Google Play, but you'll have to wait until the fall to get your hands on those TOTY-worthy creations. Usually, once you've assembled your latest masterpiece, it just collects dust on your shelf or becomes a plastic paper weight. But click in a few Brixo Blocks and get that Lego Back to the Future Time Machine hitting 88 MPH. Powered by a low voltage battery, these building blocks act as electric conductors to create simple circuits that add light, motion, and sound to any structure, without any annoying wires. A chrome coating makes them completely safe for the little ones, in case you decide to share. Whether you lack the funds to pick up a vintage Land Cruiser or just don't want to risk taking yours out on the trail, the Tamiya RC Toyota Land Cruiser lets you enjoy the offroad prowess of this legendary 4x4 without needing to get behind the wheel. This complex model comes disassembled, and can take a while to build. Doing so gives you a better knowledge of how it works, however, as well as the opportunity to customize it with your choice of transmitter, receiver, and battery, none of which are included in the package. Lego's Architecture series has thus far done a great job of offering brick-based models of landmark buildings the world over. Now they're taking on entire cities. The Lego Architecture Skyline Collection includes mini-models of some of the most famous buildings in Berlin, New York City, and Venice. Representing the Big Apple are the Flatiron Building, the Chrysler Building, the Empire State Building, One World Trade Center, and the Statue of Liberty, while the German capitol is portrayed via the Reichstag, Victory Column, Deutsche Bahn Tower, Berlin TV Tower and the Brandenburg Gate. Finally, the canals of Venice shine in blue tiles, on which sit Rialto Bridge, St. Mark's Basilica, St. Mark's Campanile, St. Theodore and the Winged Lion of St. Mark, and the Bridge of Sighs. Details are scant, but expect these sets to be on the small size — suitable for desk/shelf display — and to number in the hundreds, not thousands, of pieces. Pairing a smart design with contrasting materials, the Rawstudio Travel Chess Set overcomes the limits regularly embraced by portable games to create something that's both easily packable and worthy of display at home. Each piece in the set is made from heat-treated and oxidized stainless steel, polished by hand to create the differences in color and designed so that they interlock when stacked. This results in a "tube" that can then be used to house the rollable leather pieces, which alternate the skin and suede sides of the Italian hide to create the black and white squares of the board. Shipped in a wooden presentation box, made using Victorian-era machinery in London. They're nowhere near as complex as most building toys. And that's entirely the point. Cosmos Magnetic Wooden Blocks use a patented system of neodymium magnets that pop up to snap together much like real-world locking mechanisms. They're available in five sets — shuttle, rocket, satellite, lander, and planet — with a grand total of 28 wooden pieces and 58 connection points among them. An ideal gift for aspiring explorers and space-obsessed big kids alike.